We will share with you the knowledge and expertise that will ensure you realise your capability as a proficient teacher of English. We will actively assist you to pass the TEFL course and in so doing, become a self-assured, effective and competent teacher, able to design and deliver lessons in a meaningful and informative way. We will be consciously aware of your individual needs and will support you in achieving your goal. Our understanding and guidance, together with continuing professional development, will allow you the optimum chance of consistent and sustained success. We can now offer various exciting ‘new’ courses to meet the needs of our trainee teachers. At the conclusion of each of our courses you will receive a valid TEFL certificate. The SLS course is registered and fully approved by the Ministry of Education of Thailand. If you are sure about registering for your TEFL course or any language course and have sent a confirming email to info@slsthailand.com you may pay SLS by direct bank deposit or PayPal. Click here to view our payment details. Discuss pass-through, best price, accommodation in excess on one person. Otherwise, book your accommodation directly. Registering for our TEFL course is very easy. Either email or call us. 3. Must be a person with no criminal record or a legal case under Thai law. To develop teaching skills that will enable graduates to enter the classroom with confidence in their performance. To evaluate trainees and ensure that they understand the necessary teaching skills in the classroom. To produce English teachers who understand Thai culture well. Lesson Schedule: School is opened 6 days in a week. The course is operated 5 days and 6 hours per day. Lunch with morning and afternoon breaks. Divide into 4 sessions a day. 1 session = 1.5 hours. Total 30 hours per week. Sociolinguistics in English Language Teaching (ELT). Cillian is an experienced, professional, committed teacher with internationally recognized specialist qualifications in education and sport. 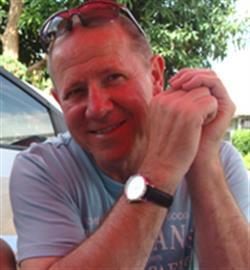 He graduated in 1983 from the University of Newcastle with a B.Ed. (Honours) degree in Education and Professional Studies and later obtained further qualifications in Special Education and Clinical Psychology, from the University of Birmingham. He began his teaching career in a comprehensive school as a teacher of geography and physical education and then moved into residential special education where he taught for eighteen years. As such, he has extensive teaching experience in both comprehensive and special schools. On moving from England to S.E. Asia in 2010, he became a sports instructor and English language teacher in Vietnam, and latterly a TEFL trainer at teacher training centre’s in Pattaya, Thailand. The skills acquired in pursuing his chosen profession successfully demonstrates a capacity to prepare and deliver relevant information to a wide variety of audiences. As part of the course, we will assist you in honing your job-search skills. Once employed, you will find that many more doors open for you; the visa process becomes easier, acquiring a work permit entitles you to live in Thailand legally and even opening a Thai bank account becomes simpler. SLS TEFL has links with a recruiter for Thailand schools. Those successful TEFL students and other teachers, matching the recruiters qualification criteria, can be referred on to work in one of their 200 schools across Thailand. SLS supports the Hands Across the Water Charity https://www.handsgroup.org.au/about/. 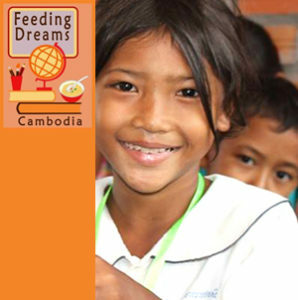 SLS supports the Feeding Dreams Cambodia Charity http://feedingdreamscambodia.org/ . Yearly, 1 % of TEFL Student fees are contributed to charities supporting children at risk. At SLS we will teach you how to teach students of any age or ability. Achieving our SLS TEFL qualification is a sign of quality. It is your passport to teach, not just in Thailand, but the world over. In the past, most of our TEFL trainees have come mainly, although not exclusively, from native English speaking (NES) countries around the world, and perhaps more importantly, from all walks of life. Indeed, some of our most successful teachers have surprised themselves by stepping out of their comfort zone into the exciting world of teaching. An increase in creativity and productivity and a new found zest of enthusiasm are some of the qualities that we regularly see in our students.